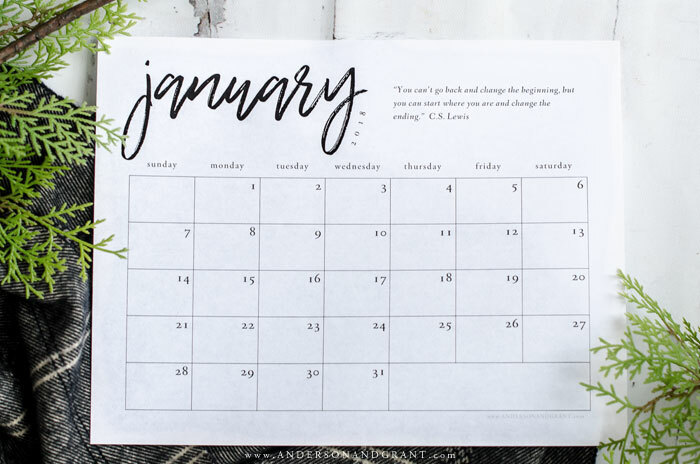 For years, one of my favorite parts of Martha Stewart Living magazine has been looking at her monthly calendar. I love seeing what she is (supposedly) doing and thinking about what monthly tasks I should be doing myself. 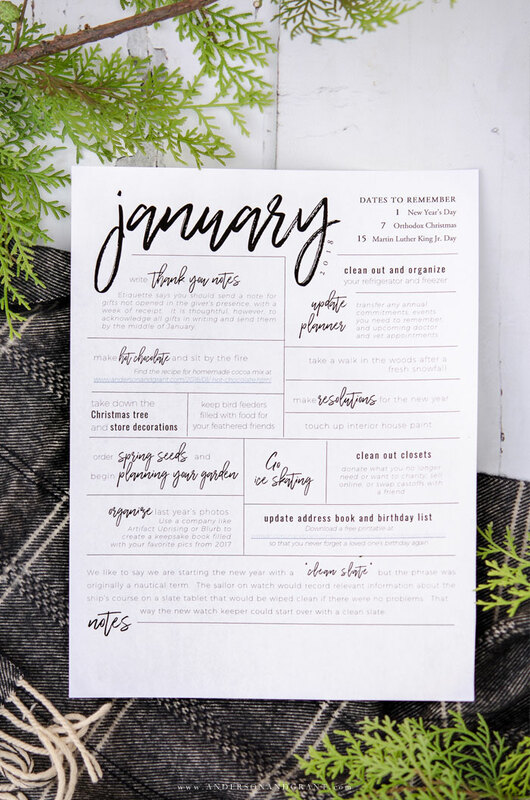 So, along those lines, I've put together a free printable for the month that you can save to your computer or print off on paper that gives suggestions on things you might want to accomplish during the month of January. Some are chores for your home, others are tasks to keep your organized, and a few are activities just for fun and relaxation. 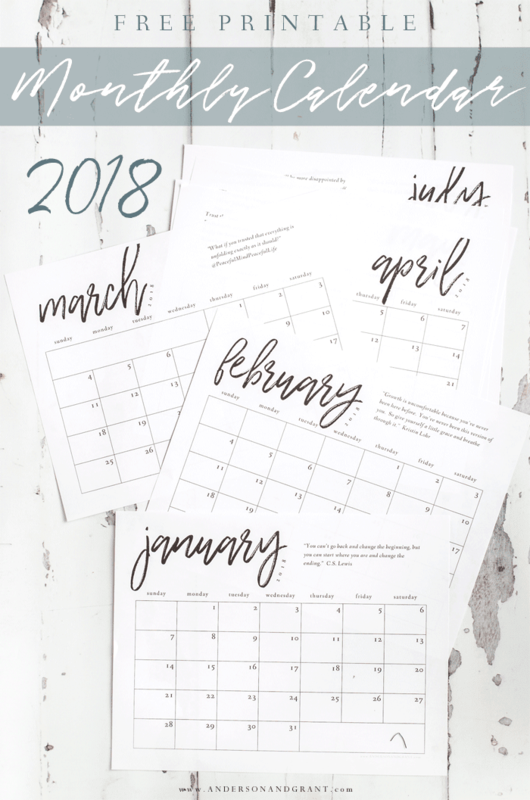 There is also a reminder of dates to remember and a section at the bottom for notes you might need to make as the month progresses. 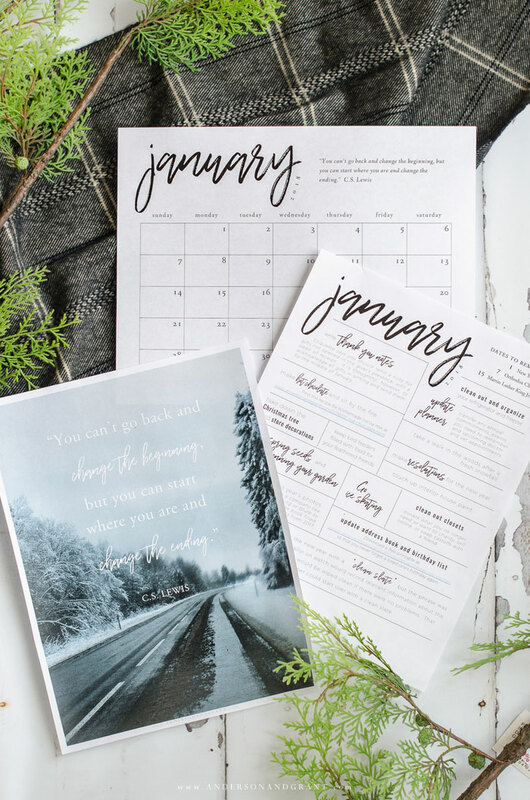 The second thing I'm sharing is a printable calendar for all twelve months of the year that coordinates with the "to-do list." 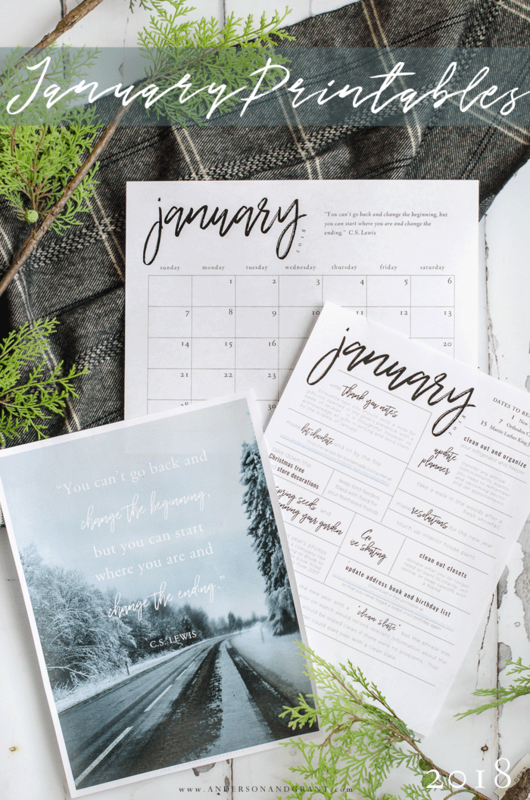 Each month includes a quote to inspire you on your journey to becoming that person who you desire to be and keeping those new year's resolutions. 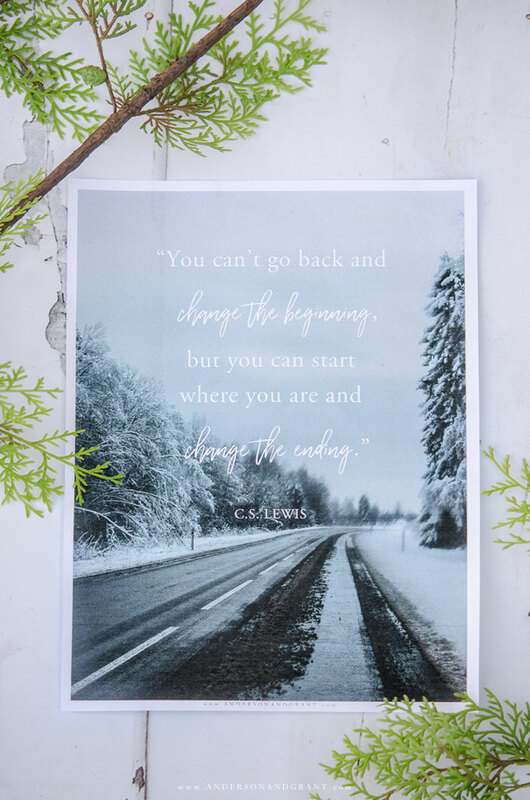 And finally, the monthly quote that appears on the calendar has been turned into a printable you can frame or keep in a handy spot on your desk for encouragement during the month. It has been created in both horizontal and vertical formats. 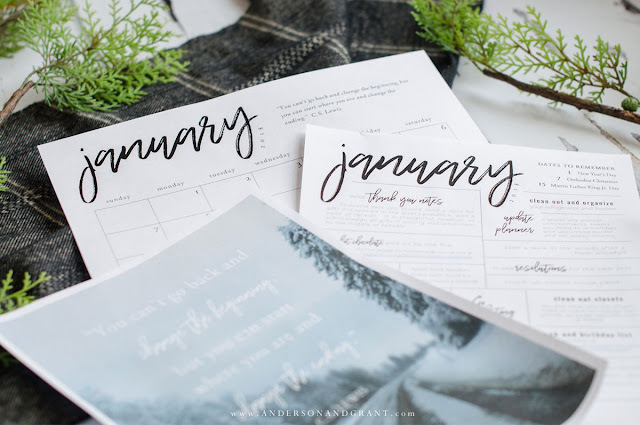 I'd love to know what you think of this monthly printable idea.....Is it something you think you might use? Anything else that you'd find helpful from month to month that I could include? Enjoy the remaining days of 2017 and I will you back here in a few weeks!